Fishing teams & racing teams this is a great way to secure that big sponsor. A boat wrap will not only make a statement on the water but traveling on the road as well with hundred of views for your sponsors customers. Boat wraps also protect the finish or your boat from scratches, chips and fading. We use high quality wrap media that when removed leaves no adhesive residue upon removal. The gel coat will be as new as the day the wrap was installed. 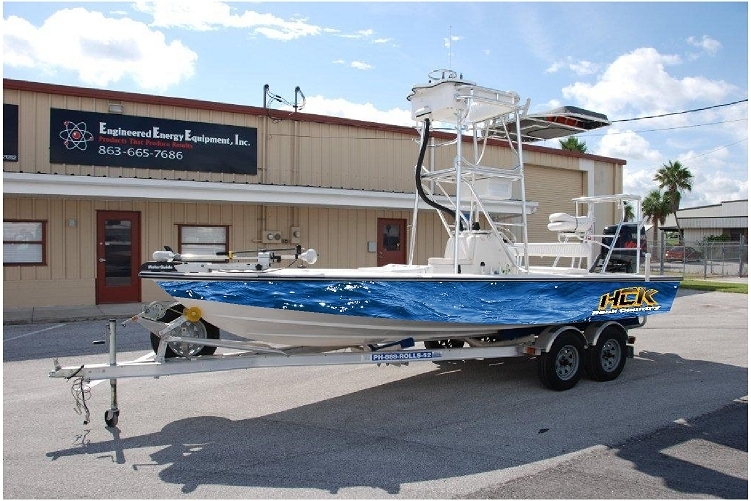 A CFG marine wrap will not only draw attention but the same time protect your investment.